This Mothering Sunday (26 March 2017) MBNA Thames Clippers is treating mums to a free River Roamer experience worth £16.30. The ticket allows you to hop on and off between 16 piers throughout the city, providing a full day of unlimited travel and spectacular views from Westminster to Greenwich and beyond. If you’re planning a trip to London on Sunday, there’s no better way to see it than from the river. 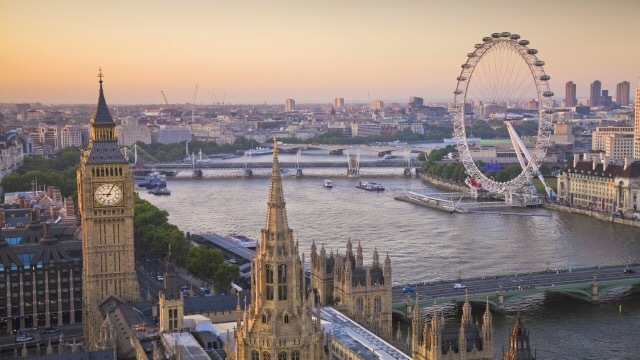 You can relax on board, grab refreshments from the onboard bar and explore London’s most famous landmarks at leisure as you journey through the heart of the capital. To take advantage of the special offer, tickets must be booked online in advance using the code TREATMUM. The free adult River Roamer offer is available when purchasing any other River Roamer ticket and is only valid for use on Mother’s Day. The offer is restricted to one free ticket per customer. A River Roamer ticket online costs £16.30 for adults and £8.15 for children, with a family ticket (two adults and up to three children) costing £32.60.